Today I'm sharing the top 10 Montessori posts from around the web in 2018. These are from English speaking sites only and I've excluded multiple articles about Jeff Bezos (four in total). There are a few articles here that I hadn't read before. It's nice to read about Montessori from various sources, it gives a more balanced view. I hope you enjoy! 1. Jeff and MacKenzie Bezos Pledge $2 Billion for Homelss and Preschoolers at The New York Times. 2. Montessori schools are exceptionally successful. So why aren't there more of them? at America Magazine. 3. 9 phrases Montessori teachers use to build resilient kids at Motherly. 4. Montessori at home: Giving your child 'purposeful work' could be a game-changer at Motherly. 5. Montessori Had It Right: We Learn By Doing at Psychology Today. 6. 6 Montessori parenting habits to practice every day at Motherly. 7. How to Respond to Defiant Behaviour the Montessori Way at Volcano Mama. 8. 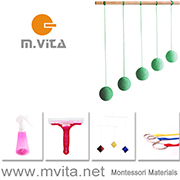 Montessori Inspired Toys and Homeschool Materials on Etsy at Chalk Academy. 9. 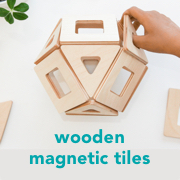 19 Best Toys for Montessori Kids 2018 at NY Mag. 10. Montessori at home: 34 books every kid needs - for newborns to 6-year-olds at Motherly. 11. Could the Montessori method help people with dementia at The Guardian. 12. Build a Bilingual Montessori School in Nicaragua at Global Giving. 13. How do you find a real Montessori school if any school can use the name? at Slate. 14. Gabriel Garcia Marquez on Montessori at Montessori Education. Sending You Love and Light - Have a Wonderful Christmas! It's Christmas Eve and I'm taking a moment to consider all the things that I am thankful for. I hope that you have a wonderful Christmas with those closest to you. We are far from home and send our best wishes to everyone back in Australia. Thank you for your continued support. I will be back later in the week with a couple of posts before the New Year. Christmas Crafts with Orange - three ways! Many of us associate Oranges with Christmas. In some homes Oranges are placed in the bottom of Christmas stockings and we often use dried oranges in decorations. Today I'm sharing three ways we've used Oranges in our Christmas crafting this week. 1. Cranberry and Orange Garlands. Who doesn't love Cranberry Garlands? We've decided to include some Orange stars to add a little more colour and contrast against the greenery of the Christmas tree. The Orange stars are made using the peel from an Orange and a little shape cutter. After we cut out the Orange stars we thread the stars and the Cranberries onto some gold thread. We tie an Orange star at the end with the thread to keep it all from falling off. We've used plastic craft needles but a nice thick embriodery would work well too (not too sharp at the end for the children threading). We've used our Cranberry and Orange Garlands to decorate a little tree we have in our front porch, it's a lovely way to decorate a tree without using any plastics or store bought decorations. So pretty and the threading is great for the children's fine motor skills. 2. Orange and Clove Pomander. These are popular here and they smell so warm and calming. This is another activity that is fantastic for developing fine motor skills. My children were able to push the cloves directly into the oranges but many tutorials recommend making a hole first with a toothpick. I encourged the children to make their own deisgns but I also showed them some examples online. We haven't done this before but I highly recommend it, it's super easy, both the oranges and cloves are easy to find in the supermarket and they make the room (and your hands) smell delicious afterwards. You can also tie the Pomander with ribbon and hang it on the Christmas tree, we have ours sitting in a bowl. 3. Christingles. This one is a little more complex and symbolic. Caspar recently attended a Christingle service so Otis wanted to make some Christingles too. Traditionally these are made for a children's service on the last Sunday before Christmas or on Christmas Eve. We use Oranges, Sweets (or dried fruits), Toothpicks, Red Ribbon (or red tape if you have it), Foil and Candles (we use 100% beeswax). We cut a small cross at the top of the orange and insert the candle with foil wrapped at the base of the candle. The foil will hopefully catch any drips from the candle wax. Then we wrap the red ribbon around the orange and tape it at the end to stay in place. We add four toothpicks to the orange pointing out diagonally and place our sweets on the toothpicks. Then we take it to our Christingles service or caroling, or light them for our own service. Caspar (11yrs) and Otis (7yrs) have different religious beliefs so this was an interesting event for us. Some oranges will sit up nicely so they could also be used as a table setting, think each child could have their own and eat the sweets after the meal. The best description of Christingles that I could find is at Why Christmas and The Moravian Church. Each item represents something. The Orange represents the world, the red ribbon is God's love wrapped around the world and the blood shed by Christ on the cross, the sweets represent God's gifts, some say the toothpicks represent North, South, East and West, others say they represent the seasons. The candle respresents Jesus, bringing light to the world. Otis in particular loved making these. I feel happy and almost relieved that we have finished our Christmas crafting. We have a little baking to do over the weekend and a few handmade gifts to finish off. I hope you have a lovely weekend! My children love making Christmas ornaments. They often make them freestyle, with paper, ribbon and lots of stuck on things. But I also like to show them ways we can make ornaments using different materials. 1. Wool Christmas Stars. This first one is a favourite because we almost always have these materials in the house. We use card covered in plastic food wrap. The card is doubled over (it's an Amazon delivery pocket) so it's quite thick. I put toothpicks in the corners of what would be a star, the toothpicks are in far enough that they are stable and will stay upright. I've seen a similar tutorial where they have inserted the toothpicks into a foam food tray. I tie some wool around one toothpick and leave enough of a tail so that a loop can be made and the star can be put on a tree branch. Then the kids use the wool and wrap it around the toothpicks. Once they are happy with the design they cut the wool and tie it to the top piece of wool, apply lots of PVA glue and allow it to dry. Or if they are in a hurry they use the hairdryer to blow it dry. Then it can be peeled off the plastic and put on the Christmas tree! I think they look cute! 2. German Straw Stars. "The Legend of the Straw Stars is a wonderful story to share with children... Once upon a time, a young shepherdess wanted to give a gift to the Baby Jesus. But she had no money to buy anything. She sat on her straw mattress staring up at the heavens, and saw the star of Bethlehem. Suddenly she knew what she should make! She wove the straw from her bed into a Star of Straw… and gave it as a special gift. As the story goes, Mary laid her son Jesus in a bed of straw in a manger… so the straw ornaments are closely tied to infant Jesus." - German Girl in America. There are lots of different designs you can make with these. As we are new to this craft we made similar and simple designs! I would recommend this for children 5 years +. Kits are available that include everything you need including coloured straw, thread and red moulds, ours is from Conscious Craft (UK). Baiscally, you place the straw in the red moulds in the shape of a star, place the little red plastic insert on top to keep the straws in place, then you use the red thread to tie around the edges of the star, this red thread will keep the star together, then you remove the red plastic insert and remove the star. It is a lot of fun once you know what you are doing. I love this for kids as over time they can become more creative with the designs - the sky is the limit! 3. Twig Star Wands. We made these a couple of weeks ago (inspired by a Forest School activity) but they are addictive, easy to make if you are playing around outside. These are self explanitory, we use a long stick (willow is best as it will bend after being soaked). We simply bend and snap our sticks to make a star shape and bend them or tie them at the end with twine. Here is a short tutorial. The older boys and I have been making a lot of Christmassy and winter type crafts. They are now on school holidays and most of our days are free. I really wanted to have a try at making Waldorf Window Transparencies so I encouraged Caspar and Otis to have a go too. I first discovered this concept of transparent window scenes through this store (see on Instagram here). Obviously these are really beautiful, as new-comers ours are not going to look so great but that wasn't going to stop us from trying a little DIY. Above is a Christmas tree scene to the left and a night time camp fire scene on the right, this view is from the back. You can see how the boys cut out the black border with card and then layered the coloured transparent paper to create their scenes. This felt like a really creative process, no one knew what they would look like until they were finished. The children had fun cutting out their shapes and layering the images. They had to alter their complex designs and realised that simplicity works best here. It is wonderful work for developing fine motor skills. I have been reading Transparent Window Scenes Through the Year. It contains all you need to know to make the window scenes and it has a few patterns/designs for the different seasons. The above winter scene I made was based on one of the patterns. It's a lot harder than it looks to cut out clean lines but I love how all of these work once on the window. I need to keep reminding myself that handmade doesn't need to be perfect. There are a few patterns/designs online and there are a lot of ideas on Pinterest here. A lot of them come from German sites. Some of them are amazing and inspiring. I can't wait to make some for Spring and Summer when the colours are a little more vibrant. But even in winter these add a touch of colour and beauty to our windows and help us celebrate the season. Otto's most prized possession in his lovely little straw broom! Sweeping is the practical life activity that he does the most, second to cutting banana. It's so simple and easy to do. We have found it easiest to start with a straw broom. It doesn't matter which way he uses it unlike a push broom, he is able to move the leaves around. We gave Otto his first broom when he started walking. Then we modelled how to use it. Having a front porch that constantly has leaves is useful too. We sweep the leaves but soon more blow in. Initially he would just walk around with the broom but now he can actually sweep! At the time I couldn't find a toddler sized broom, so we ordered a child sized broom and used a hand saw to cut the handle down and scissors to cut some of the straw. Now it is easy to use and manageable in size. His broom has a total height of 64cm or around 25 inches. The height of the straw head is around 26cm or 10 inches. At 15 months this size is perfect! For the cost and effort I definitely recommend finding a toddler size broom or cutting a child-size broom down. This one will last Otto until he is three or so. It already gets lots of use! In Australia these little brooms were easy to find at our local markets or even at farm or horse supply stores. Michael Olaf had a little orange one (that Otis loved!) but they don't stock it any more. Redecker stocks some brooms in a smaller toddler size (total height around 70 cms). The broom pictured above is from Absorbent Minds, I can't find it on their site but it looks really similar to the Straw Broom at Montessori Design By Nuccia, also UK. This straw broom is by Redecker. In Europe look at Manine Montessori, in the UK Objects of Use. In Australia Montessori Child has one similar. Child's Rainbow Broom with Cherry or Hickory Handle at Palumba US. Corn Broom at Montessori Services US. Straw Broom at A2Z Montessori, Australia. Etsy also has some lovely straw brooms too including at Brooms for Sale (US). Today I'm sharing some Montessori Christmas themed articles that I have been reading and enjoying this week! I hope you enjoy them too. A Montessori Christmas at Cincinnati Moms Blog. A Montessori compatible Christmas Book - A rare and beautiful thing at Our Montessori Life. - I can't find this book locally but will keep on looking. Christmas Cookies - Montessori Style at Montessori Academy. I love how they have broken down the steps/method of this recipe. Should Parents Tell Their Children the Truth About Santa? and Taking a Look at Santa Again at Montessori for Everyone. If you are not sure what to do about Santa, I encourage you to read both of these articles. This best articulates the Montessori approach to Santa. The joyful work of a Montessori Christmas at Montessori Child, this is written for a school setting but lots of the ideas can be applied at home too. De-Centering Christmas in the Classroom at Diamond Montessori. This is food for thought. How to Simplify Christmas at Montessori Family. Ecological/Ethical Gifts Guide (Waldorf/Montessori) at Mothers Abroad. Embroidery with Children: Christmas Cards (incl. printer template) at Monti Minis. Salt Dough Advent Spiral at Cosmic Montessori School. Is there anything salt dough can't do? Christmas Around the World at Trillium Montessori. What could be better than learning about Christmas in different cultures? For teaching children about celebtrations around the world this book is fabulous, it contains Hanukkah, Christmas and so much more - Children Just Like Me: Celebrations. This would be a good book for the classroom too!